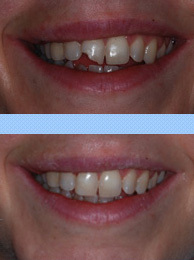 Bonding is a conservative way to repair broken, chipped, discolored, or crooked teeth. 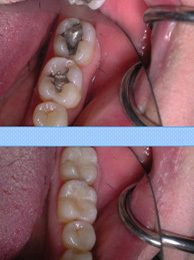 During dental bonding, a tooth-colored filling, called a composite, is placed onto your tooth to improve its appearance. 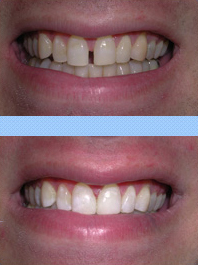 Composite is a very hard and durable plastic filling material. The filling "bonds" with your teeth, and because it comes in a variety of tooth-colored shades it closely matches the appearance of your natural teeth.